Elizabeth Bartman, The Ince Blundell Collection of Classical Sculpture, Volume 3: The Ideal Sculpture. Liverpool: Liverpool University Press, 2017. Pp. 272. ISBN 9781781383100. $120.00. The Ince Blundell Collection of ancient sculptures is known as the largest private assemblage in Great Britain. Due to the "marble mad" 1 collector Henry Blundell, the holdings grew to include more than 500 pieces of sculpture over a period of 32 years in the 18th and 19th century. 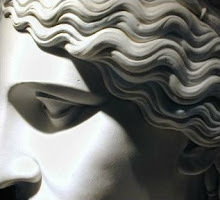 The publication under review forms the long-awaited third volume on ideal classical sculpture at Ince Blundell Hall. First, the author introduces the reader both to the collector and the collection and defines the aims of the publication. Elisabeth Bartman's research sheds light on the difficult market of antiquities, especially in the 18th century, the lack of exact statements regarding provenances—which always means a great loss for researchers—and the issue of restoration. A detailed chapter presents Henry Blundell as collector and his lifelong relationship with Charles Townley, also a collector of antiquities, with whom he undertook several journeys to Italy to purchase marbles and other artefacts. The role of collection manager posed difficulties for Henry Blundell regarding the display of the marbles and other artefacts in his possession. Blundell himself seems to have been sceptical about the heavy restoration of the sculptures, although he was personally engaged in the restoration work of some statues. Bartman discusses the fashion of restoring and piecing together sculptures in the 18th century, spurred by the market's high demand for "perfection" and cites some examples which are without parallels: the statue of Theseus (cat. 49), of a female personification known as "Phrygia" (cat. 14), and a Diana (cat. 101). All of them show more or less "non-Roman" details which are attributed to restoration work of the time. Finally, the author discusses the critical perception of value regarding the Blundell collection, which is mainly based on the inexperienced or even naive attitude of the collector to original ancient sculpture and artefacts. This fact might be viewed as symptomatic of its period and of the response of contemporary sculptors. Bartman concludes the introduction by emphasizing the private and personal aspect of Henry Blundell. The catalogue entries of the ideal sculptures use a standard format: measurements, provenance, marble, condition, and bibliography, followed by a discussion of the object, e.g. statue type, parallels, and restoration. The sculptures are classified in an unusual way starting with sculptures of the goddess Athena (cat. 1-5), followed by Venus (cat. 6-13) and other female figures (cat. 14-29); then come Jupiter, Apollo and other male gods (cat. 30-48), male figures (cat. 49-54), Bacchus and his circle (cat. 58-70), genre figures (cat. 71-81) and finally pieces in archaistic and severe style (cat. 82-96). A group of Egyptianising sculptures (cat. 97-113) concludes the catalogue. Since the provenance of most of the sculptures remains unknown, the order of the figures in the catalogue reflects in some way the preferences of the collector. The discussion of the statue of Apollo Sauroctonus (cat. 34, p. 78-81) for example, emphasizes the complexity of the Blundell collection with regard to restorations, i.e. the mixing of ancient and modern pieces which in this case could be identified because of conservation work.2 The head of this statue is made of a marble different from the (ancient) pieces of the body, so that it is very likely that the ancient elements originally belonged to different ancient statues. The general problems connected with the Ince Blundell marbles are exemplified by another statue of Apollo (cat. 35, p. 82) which is "a compendium of different marbles and multiple restorations", as Bartman states, while the most extraordinary example of an 18Mth-century pastiche of more than one hundred different fragments remains a figure of Diana (cat. 17, p. 56-7). The very lack of parallels causes suspicion about the originality of sculptures, as is often the case in this collection. The ancient fragments of the statue of "Theseus" (cat. 84, p. 99-101) also do not derive from a single sculpture; instead they were amalgamated to create an uncommon figure type without any parallel and therefore reveal a "clever fabrication of disparate parts from different sources" (p. 101). Another statue, of a female personification (cat. 14, p. 48-51), is mentioned as coming originally from Hadrian's Villa, but this is unproven, as in the majority of cases regarding the question of provenance in the Ince Blundell Collection.3 The figure has few restorations and likely represents a personification, although Bartman points out the lack of 18th century parallels. 4 Ferdinando Lisandroni is assumed to have restored this statue as a personification, and it is very likely that he had—besides the reliefs of the Hadrianeum—models like coins for this kind of type, as also discussed (p. 5-6. 50). The actual value of the work can be summarized as the much anticipated presentation and discussion of the ideal sculpture collection at Ince Blundell Hall, and the identification of ancient original and restored pieces. Furthermore, in spite of an overall lack of information, the detailed analyses and studies regarding the proveniences of the sculptures are remarkable. Unfortunately, there are only a few drawings of sculptures (by Mark Faulkner) which nonetheless show clearly and in exemplary fashion the considerable amount of restored parts (fig. 11-16). The layout of the plate section (plates 1-163) is generously arranged and the images are mainly of very good quality. 1. As the collector described himself: Bartman p. 1 n. 1. 2. In some cases marble analyses would have been helpful in the discussions of originality in the Blundell collection (f. e. cat. 14. 17. 35. 49. 101). 3. Approximately 300 sculptures have survived from the Villa Hadriana, but this number must have been far greater in Hadrianic times: J. Raeder, Die statuarische Ausstattung der Villa Hadriana bei Tivoli (Frankfurt 1983); see also M. Sapelli Ragni (ed. ), Villa Adriana. Una storia mai finita (Milan 2010) 76-96; M. De Franceschini, Villa Adriana Accademia: Hadrian's Secret Garden, I. History of the Excavations, Ancient Sources and Antiquarian Studies from the XVth to the XVIIth Centuries. Studies on Hadrian's Villa, 1. (reviewed by K. Hartswick: BMCR 2017.07.02). 4. Unfortunately, the discussion of the female statue is limited. For a more detailed discussion, e.g. : A. Landskron, "Repräsentantinnen des orbis Romanus auf dem sog. Partherdenkmal von Ephesos", in: W. Seipel (ed. ), Das Partherdenkmal von Ephesos, Akten des Kolloquiums, Vienna, 27.-28. April 2003 (Wien 2006) 102-127; A. Landskron in W. Oberleitner, Das Partherdenkmal von Ephesos (Vienna 2009) 226-250.